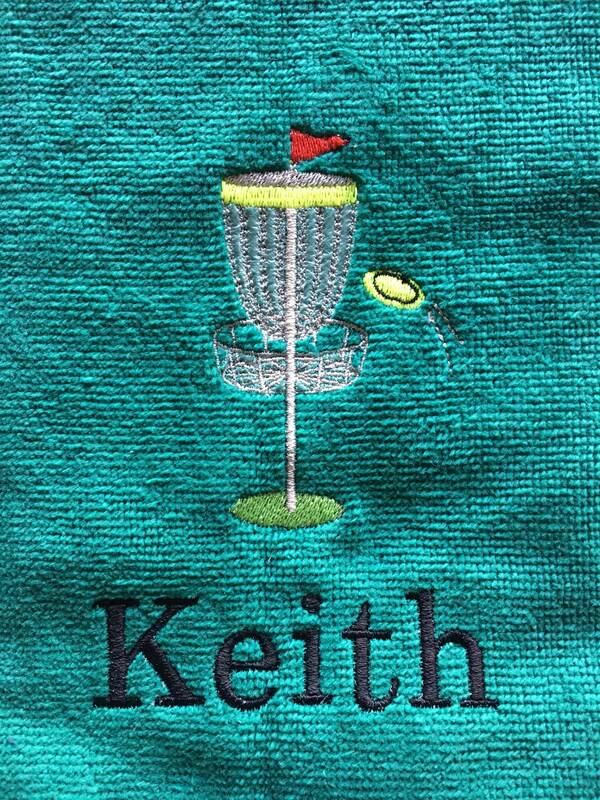 Personalized disc golf towels. 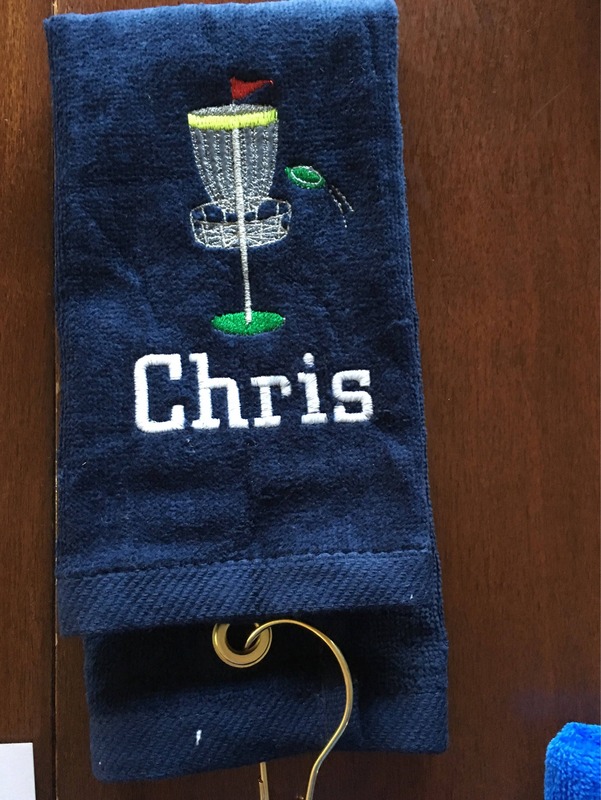 Embroidered disc golf gift. 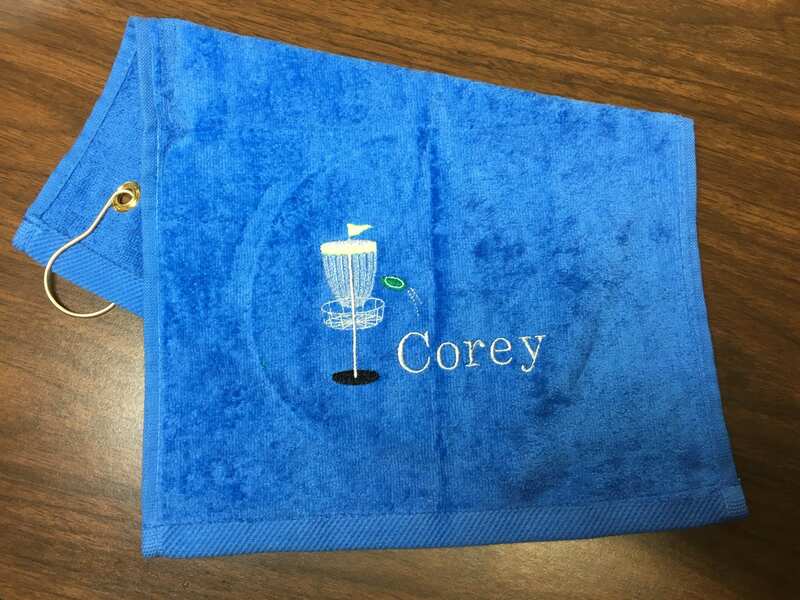 This listing is for one golf towel any color. 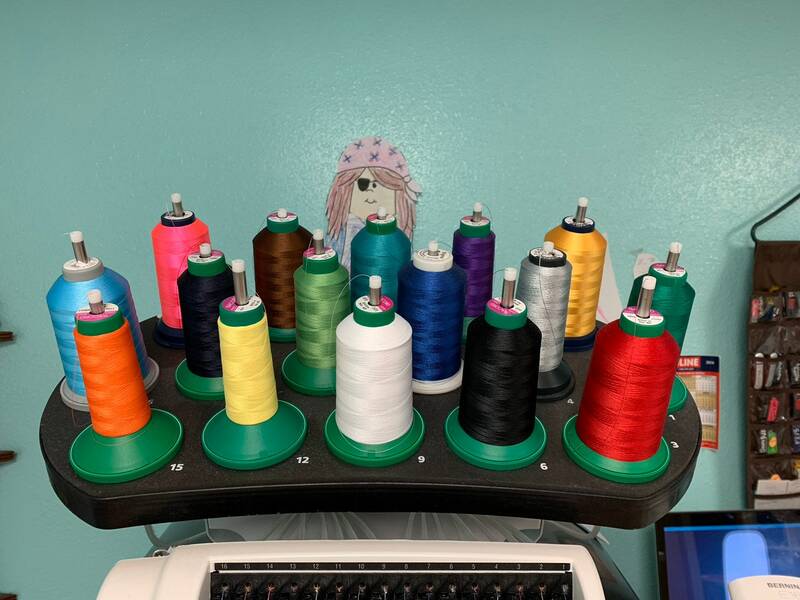 I do have most colors available. Please list all your choices in the note to LindaKaysCreations on your order when you check out. 7. 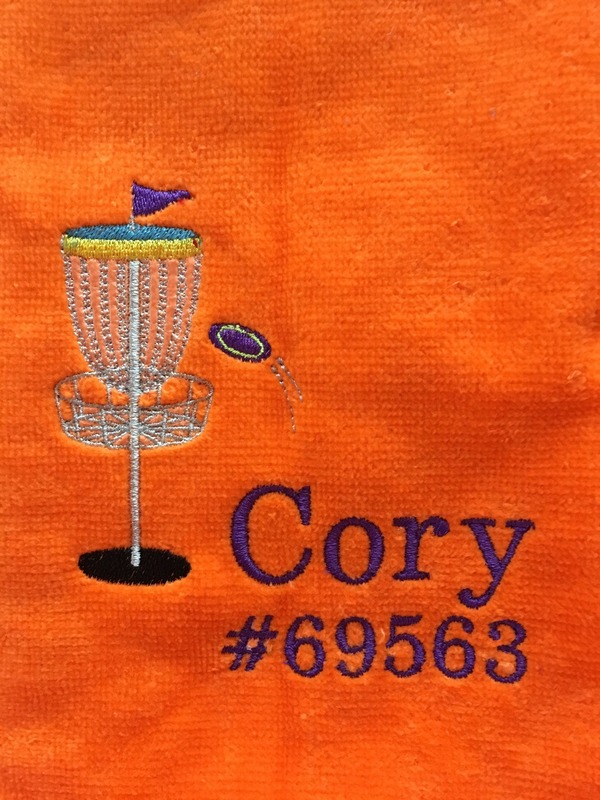 Lettering under or on the side of disc golf design? 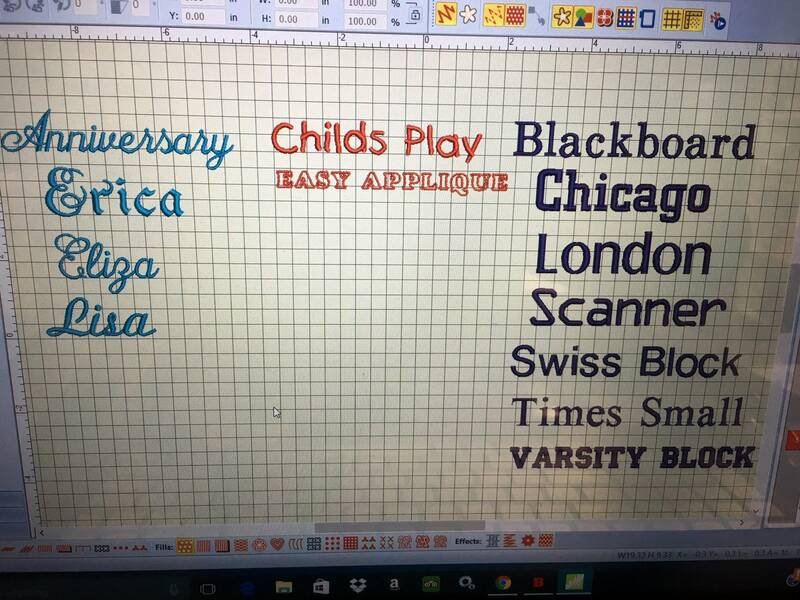 I’m am so pleased with my product and this shop! I needed something special and messaged her with my request. 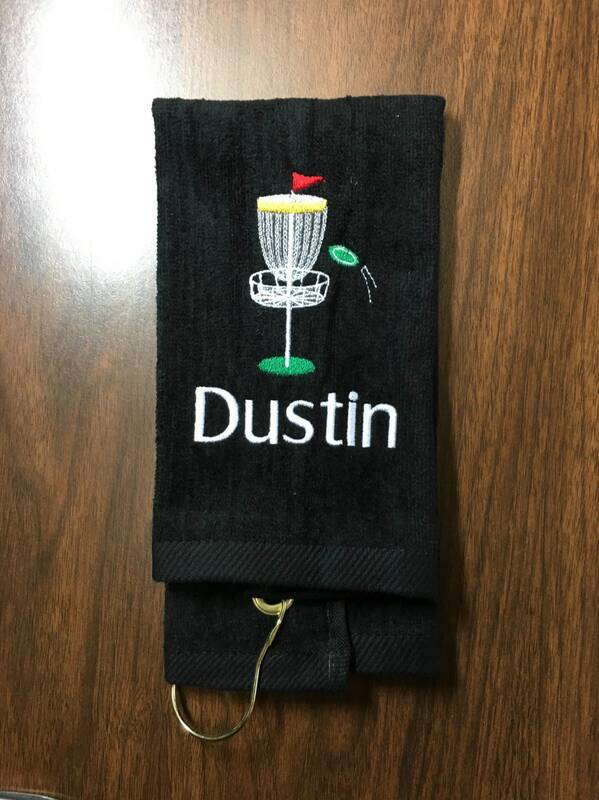 In no time did she contact me back and create my special towel. Thank you!! Every detail was matched to what I needed. Cute stocking stuffer for my boyfriend and she got it to me very quick which is nice, especially around this time of year. 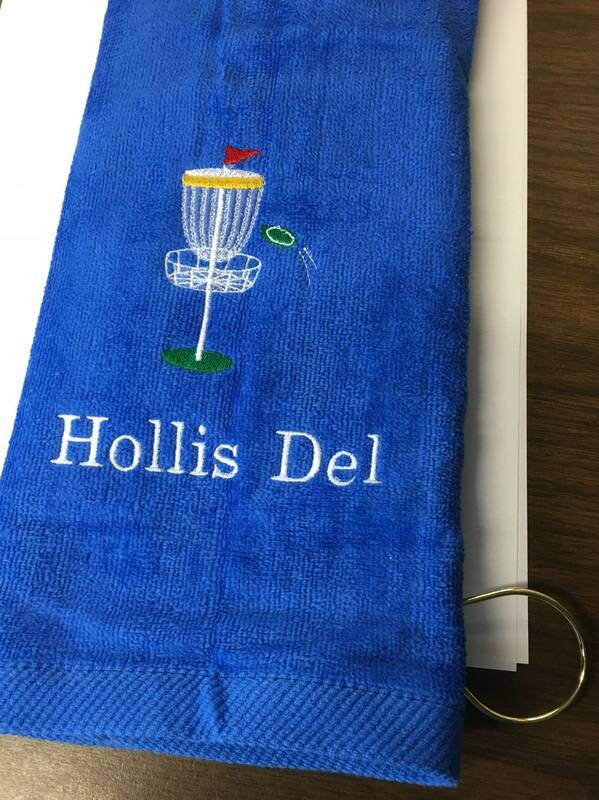 Thanks for the cute towel! Fast to ship! Thank you!